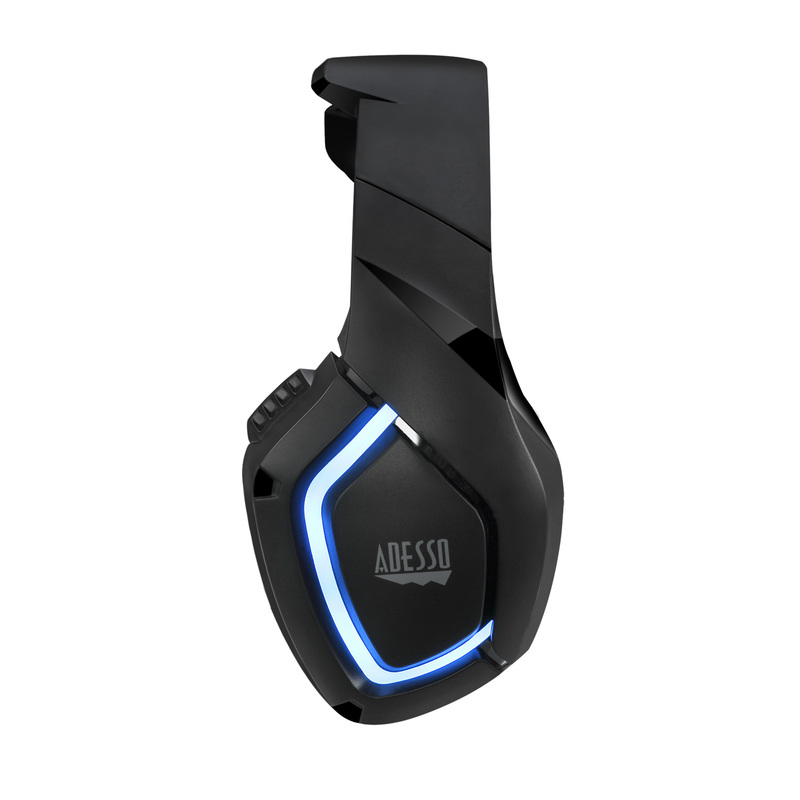 The Adesso Xtream G1 Stereo Gaming Headset with Microphone offers ergonomic comfort, practical functionalities, and stylish looks that one seeks in a gaming headset. 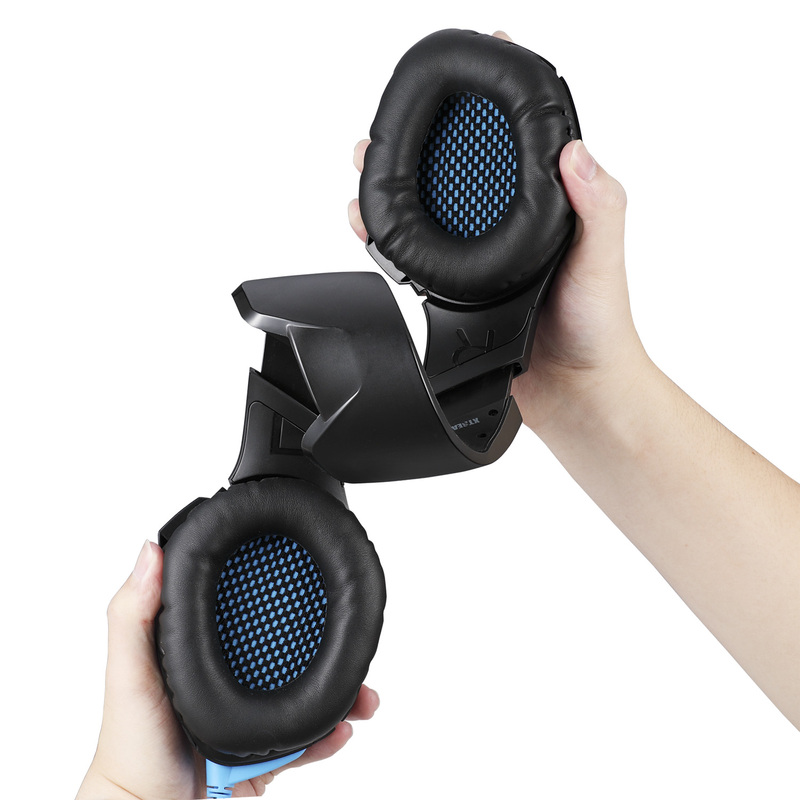 The headband and earcup cushions provide comfort for long term wear while the leather surfaces on the cushions offer soft touch against your skin to prevent irritation. 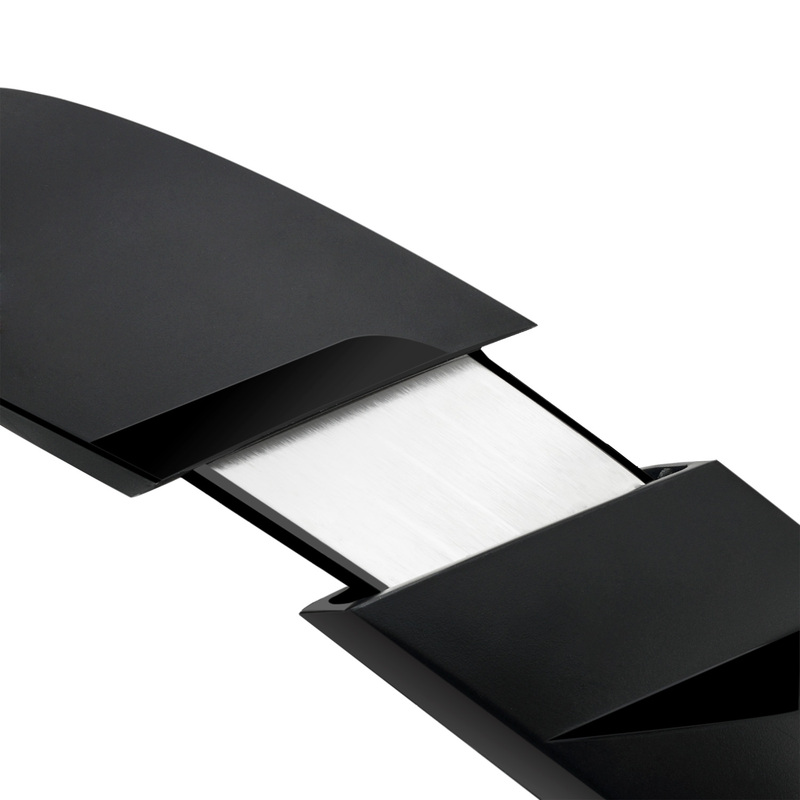 The headbands are also adjustable to make sure you have the perfect fitting. 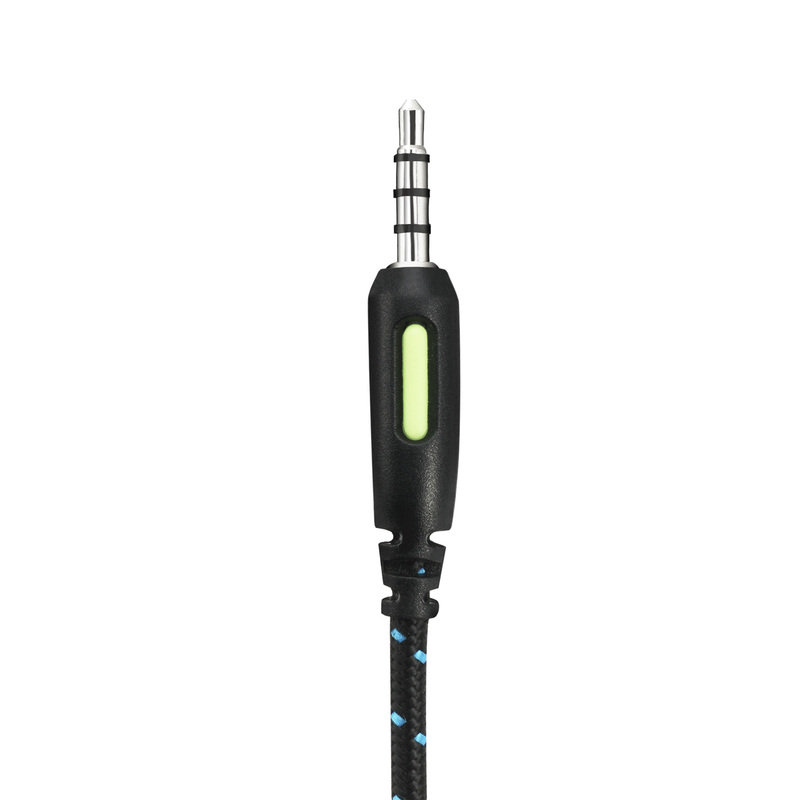 The microphone is also rotatable up to 120˚ and has noise cancellation to filter unnecessary background noises. 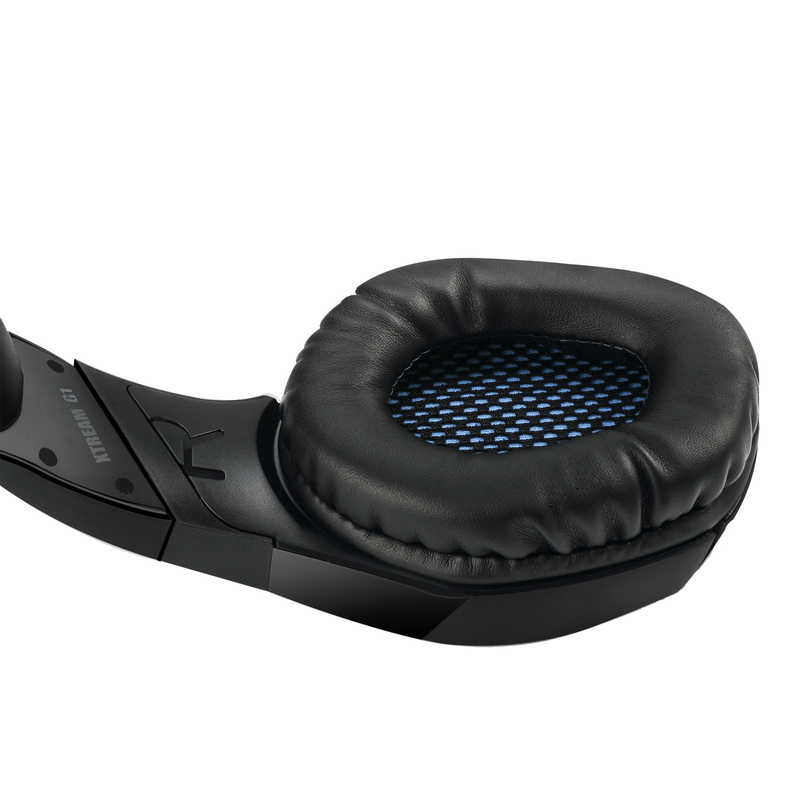 Its speakers are equipped with two 50mm drivers to play treble, middle, and bass sound at superior quality. 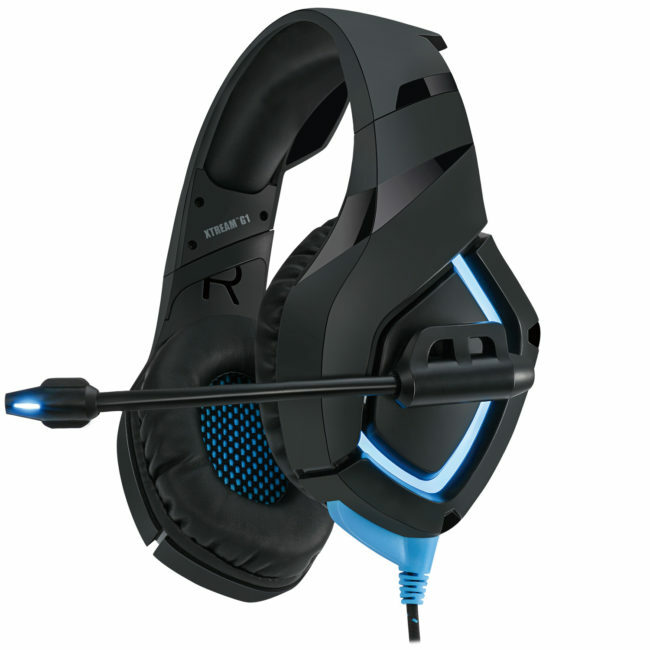 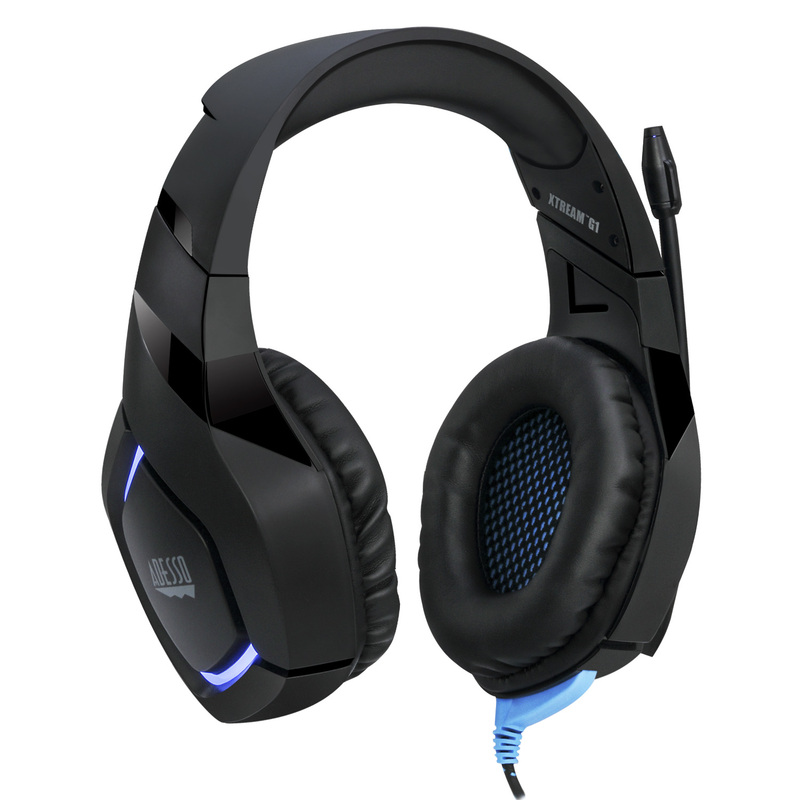 Last but not least, the icing on the cake is its LED lighting, giving the headset a unique look and aura for your gaming experience! 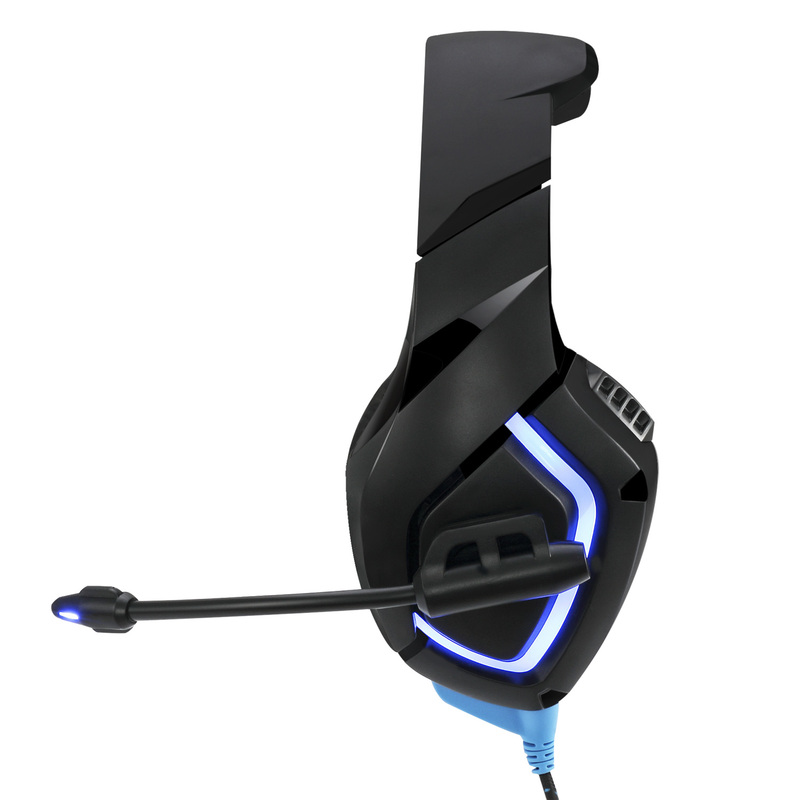 The Xtream G1 is compatible with different systems that utilize 3.5mm audio jack as their audio connection such as smartphones, PC/notebooks, Playstation 4, Xbox One, Nintendo Switch, etc. 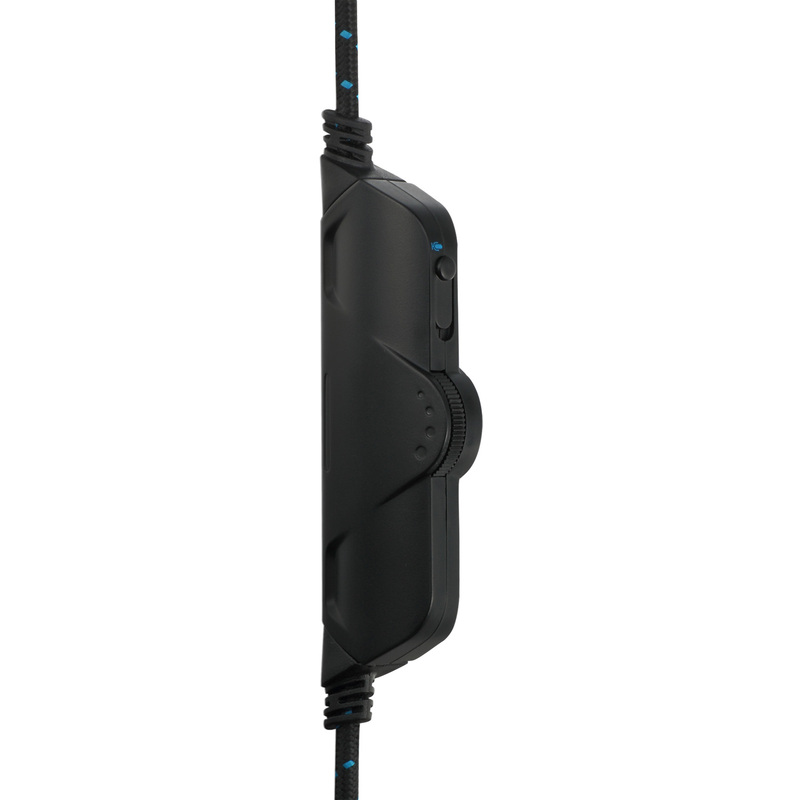 With the conveniently located media control, you can easily adjust the volume and manage your calls at your fingertips. 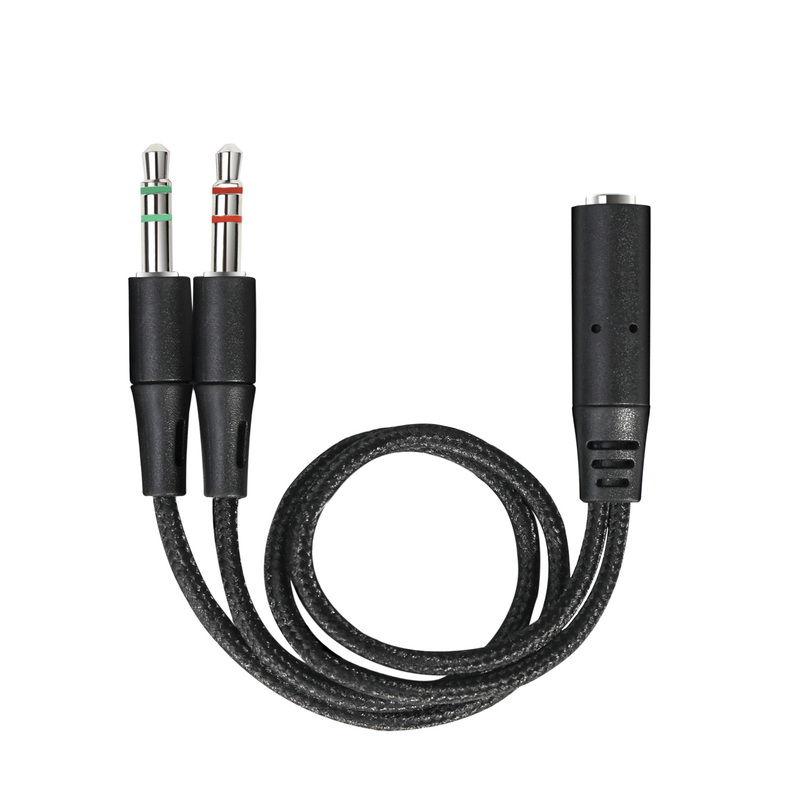 The 4-band 3.5mm Jack allows the headset to work directly with most mobile phone/audio devices. 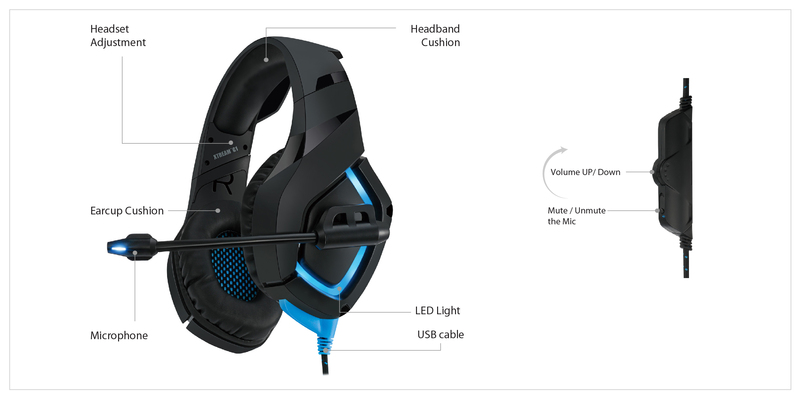 The 3.5mm Adapter allows you to use the headset on computer systems that require separate input/output connections.